You still might have a bunch of old VHS movies laying about, but have no way to watch them or maybe you just want your home movies transferred to DVD. I use a Toshiba DVD Video Cassette Recorder D-VR7, my Uncle’s actually. Note: This device cannot transfer copyrighted movies. It’s a VCR and a DVD rolled into one. I can record from one to the other. 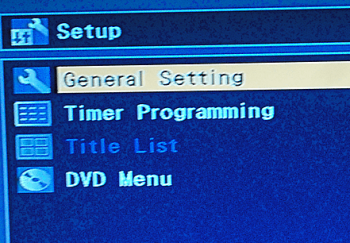 The first thing I had to do, is go into the settings menu by pressing the Setup button on the remote. On the Setup screen, I go to General Setting. 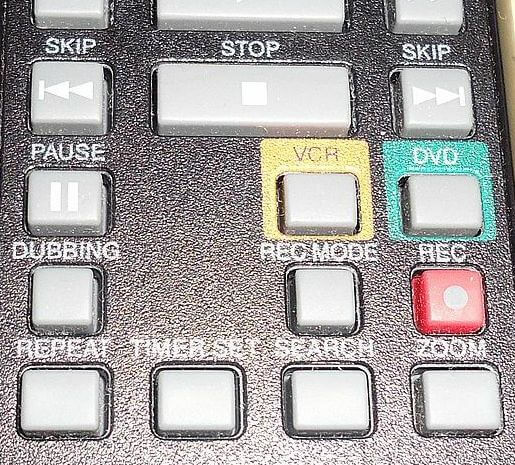 Then I have to use the arrows on the remote to go down to Recording, and then Dubbing Mode. Then I make sure that VCR -> DVD is the one checked, unless for some reason you needed to transfer a DVD to VHS– it only came up once. As long as the recorder doesn’t lose power, it will save these settings. Pressing the Setup button on the remote will then take you out of the settings menu. Place the VHS tape in and then a blank DVD disk in and press the VCR button. The tape may start playing automatically so you may have to press the Pause button to stop it, or fast forward /rewind to where you want to start the recording. 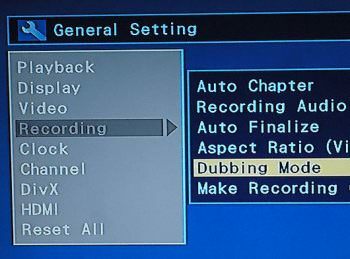 Then, press the REC/MODE to set the length of the recording. This sets the length of the recording on the DVD. This one can record up to eight hours on a standard DVD disk. That eight is not a misprint. Again, it will usually retain that setting until the next time you change it. Now press the Dubbing button. 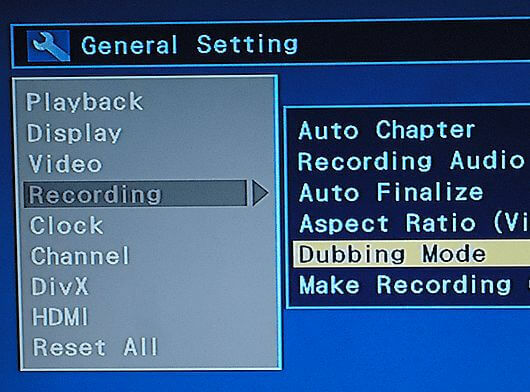 When the recording is finished, you have to go back to the Settings menu by pressing the Setup button and scroll down to the DVD Menu option and then click on Finalize— then Yes. In my screen-shot I cannot choose Finalize because I’m not recording at the time of this writing. Another option to transfer is using a TV tuner card or USB adapter. I bought two or three over the years but haven’t had much luck with them. So I’m not sure if I’m qualified to write about them. 🙂 An article for another time, maybe. Terry, I purchased a TV card years ago in the hope of watching tv shows on the computer. Never ran the cable into that room and thought I wasted money. Then I found out I could use Nero (not sure if this software still exists) to capture the VHS tapes directly to the hard drive. Only drawback was a timer limiting the transfer to a two hour max (meaning you would need to splice if the movie was longer). Quality was pretty good on a small 20 inch screen. But like I said, it was ages ago, and VHS tape movies were made in the old box type (not wide screen), so it’s a limitation when you consider most folks have tv’s with screens larger that 40 inches, Mindblower! I noticed that it will not copy copyright movies. My question: what movies are not copyright protected? There are a ton of Public Domain movies. But what about the ton that I already have some never opened. I am sure that they are all copy protected? I think most commercial bought movies are copyright protected. Even now you need special Ripping software to bypass copyrighted movies on DVD’s. If you taped a movie of TV yourself on a blank VHS tape that should go through no problem. There is the option of using TV tuner devices hooked up to your computer. I’ve bought a few over the years,, but getting them to work is another story. I have a gift for burying lame duck tech off ebay. 🙂 I’ve a TV tuner card in my PC right now, I’ll have to try a scrounge up a VHS tape or two and do some experimenting, a future article. I meant buying not burying . There ought to be a way to use a camera to “film” what’s going to the screen – Copy Prot or not. Just saying. It would not be “as Good” as measured in lab tests but it would suffice for most of us to have it digitally done. Same for old 16mm and 8mm films. Yes, another idea, just stick your camera on a tripod in front of your TV, record as the movie is playing.